Random And Some: "Don't you want to be alive before you die?" Earlier this week I finished reading All The Light We Cannot See (2014) by American author Anthony Doerr. I stumbled upon the Pullitzer Prize winner via BuzzFeed's 53 Books You Won't Be Able To Put Down listicle and I was sold instantly. After shredding through Matthew Reilly's The Great Zoo of China and Andy Weir's The Martian, it was up to Doerr to win me over with his World War 2 portrait journey. Spoiler alert: All The Light We Cannot See is the purest of page-turner, with its short and lightning-quick chapters following in rapid succession, urging you to read and put the puzzle together. I found myself in constant inner turmoil with wanting to know what happens next, while also trying to make it last as long as possible. I don't want to give too much away, so I'll keep it short. All The Light We Cannot See tells the story of Marie-Laure LeBlanc, a blind girl who lives in Paris with her locksmith father, and Werner Pfennig, a German orphan who lives in the coal-mining town of Zollverein with his sister Jutta. As Marie-Laure has to flee Paris when the Nazis invade France in 1940, Werner is recruited to a military training school for elite Hitler Youth. As the story jumps back and forth, we look at the devastation of World War 2 from opposite sides of the conflict. With Marie-Laure helping the local resistance and Werner travelling around Europe to detect illegal radio broadcasts, the touching fates of our young protaganists appear very interwoven indeed. 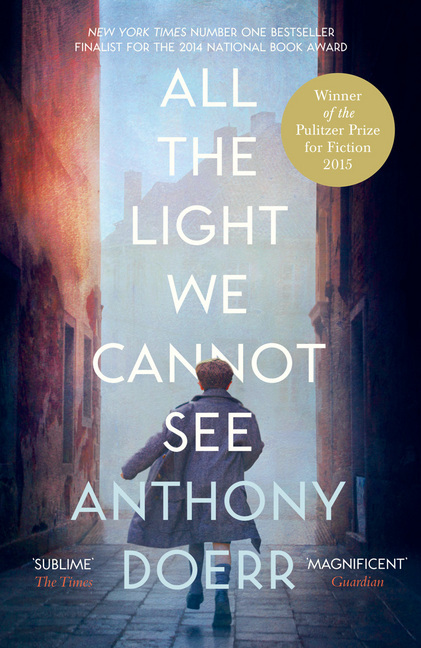 It really shows that Anthony Doerr spent 10 years researching and writing All The Light We Cannot See. The plot is set up masterfully and his words and sentences are so rich with detail and sensory language that I found myself trying to soak in everything. I can tell already that the heartbreaking stories of Marie-Laure and Werner will stay with me for a long time. As the story unwinds like numbers in a combination lock, I guarantee you will find yourself choking up. I nearly lost it at The Simultaneity of Instants, by far my favorite chapter. Do yourself a favor and read this Sea of Flames priceless gem of a book.